'MetaMaus': The Story Behind Spiegelman's Classic Cartoonist Art Spiegelman's epic Holocaust graphic novel, Maus, was published 25 years ago. Spiegelman's new book, MetaMaus, explores that signature work through interviews, answers to persistent questions and examples of his early drawings. 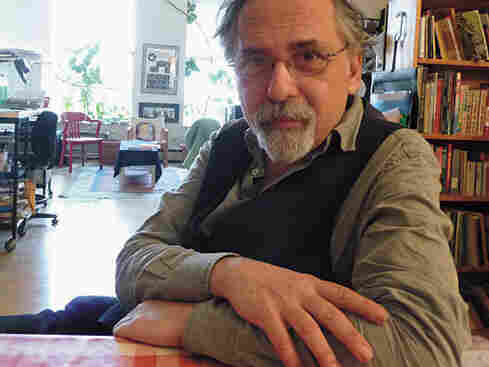 In his book Breakdowns, Art Spiegelman explains how Mad magazine saved his soul in the bland 1950s. When cartoonist Art Spiegelman published his epic Holocaust graphic novel, Maus, 25 years ago, a lot changed. He received a special Pulitzer Prize and became a contributor and cover artist for the New Yorker. 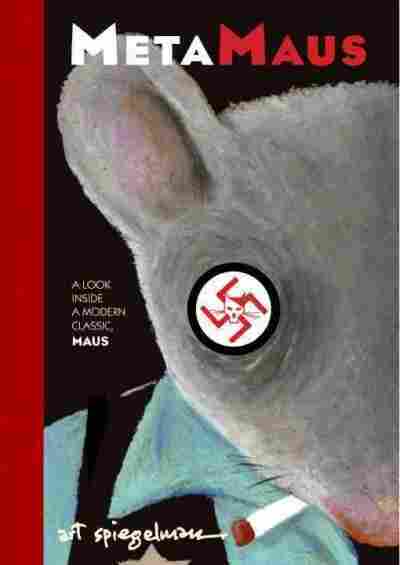 Maus blends the stories of Spiegelman's trying relationship with his father and a horrifying tale of Auschwitz, as seen through his father's eyes. Spiegelman drew the Jews as mice and the Germans as cats. But Maus has continued to haunt him. MetaMaus: A Look Inside a Modern Classic, Maus is the story behind Spiegelman's signature work, complete with interviews, answers to many persistent questions and examples of his early drawings. "Me and my mice, we weren't dressed for success," Spiegelman tells NPR's Neal Conan. "Originally we assumed we would self-publish Maus. ... I didn't believe it would be read beyond ... about 10,000, 15,000 people. And when it got bigger, I felt littler." "I wouldn't have made a really great ballet about the Holocaust. It wasn't in my gene structure. So to me it was obvious, but I think that's what's hard to remember, even going back to the early '80s — just what disrepute comics were held in — the dialogues that did and didn't take place about the Holocaust in the '70s and '80s because it's now become such a major trope in media. "I believed it wouldn't be really read until after I was dead. I was young and believed in posterity then. So what happened was, I just built it to last, and people were able to kind of sense that in the work." "It grew out of just being invited into an underground comic I was working [on] up in San Francisco as part of that wave of avant-garde comics of the '60s and '70s, where the only requirement for this particular book was to use anthropomorphic characters. "And I was stuck until a friend of mine was showing films in his cinema class in upstate New York, Ken Jacobs, and he was showing these old racist animated cartoons. And he was showing Mickey Mouse's Steamboat Willie, when he's still a Jazz Age character rather than kind of [a] square, and then pointed out that Mickey Mouse is just Al Jolson with funny round ears on top, that it was kind of all a form of minstrelsy. "And then I thought I really had the answer to the question, which was just, 'All right, I'll do something about racism in America with Ku Klux cats and mice.' And I started climbing that black hole until I realized that I just didn't know enough to be able to do it properly. "And then a whole other flood of images came to my mind, ranging from Josephine the Singer, or the Mouse Folk, a story by Kafka in which there's a kind of way of reading it where it seems that the mouse folk are the Jews. There's the image more basically that Hitler used of the Jews as the vermin of mankind that had to be exterminated. "And all of a sudden, I was off and running with a metaphor, with my collaborator, Adolf Hitler." "In other books I've done, like in Breakdowns and In the Shadow of No Towers, I work larger than print size. And when it reduces down, it reduces the flaws, let's say. It looks more seamless. And I wanted all the flaws to be on a one-to-one relationship with the reader so that it would feel more like looking at a diary, although it's a forged diary, as you get to see when you're looking at all the sketches and preliminary work. "It wanted to have that feeling of handwriting. So I was working on stationery with a fountain pen and [correcting] with typewriter correction fluid. And I wanted it to feel like a manuscript because that would allow a kind of intimacy to it, and it would keep me from frill and decoration in the drawing." "A yahrzeit candle is a memorial candle lit for the dead, as I remember from the early Hebrew school classes I took before I became an apostate and taking a book tour through Rosh Hashana and New Year and Yom Kippur. But nevertheless, I remembered what a yahrzeit candle was, and it was my way of commemorating, of understanding and making a monument on paper with ink, but some kind of monument to what happened, not just to my parents but, by implication, beyond — without trying to charge that with the politics of other issues, just as an urgent thing to try to understand, not so that we just don't burn Jews in the future, but just so that we don't burn up the planet, even, for the future. "Like how does something happen, and ... how does it reverberate through time? And that act of memory is important, and comics are great for memory. Like even when you have a short comic, like a three-panel comic, you've got a past, a present and a future as soon as you look at those three boxes. And that allows you to reflect and compare times."